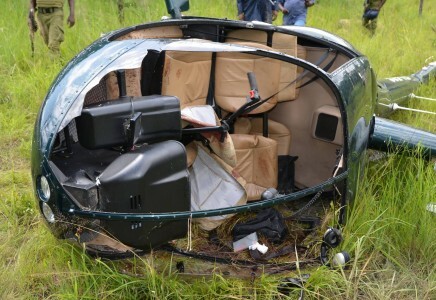 Authorities believe they have arrested the gunman who killed anti-poaching pilot Roger Gower last month and disbanded a poaching ring in the process. A total of nine suspects have been arrested in the manhunt following the helicopter pilot’s death, including a former police officer turned conservation authority intelligence officer who tipped off poachers, says regional police commissioner Lazaro Mambosasa, speaking to the New York Times. Mambosasa says police also arrested the alleged gunman, a 28-year-old man who was in possession of the hunting rifle used to kill Gower as well as the elephant tusks taken from the elephant in Maswa. “In addition to the suspected gunman, other members of the poaching operation involved in the shooting were arrested, together with members of a criminal network providing illegal firearms and facilitating the transport and sale of ivory,” says the chairman of the Friedkin Conservation Fund, Dan Friedkin. “This extensive operation has also uncovered a wider network of suspects involved in poaching and the illegal ivory trade, which is expected to lead to further arrests,” says Friedkin. On January 29, Gower and a colleague were hovering over the carcass of an elephant when he was shot by poachers still on the scene of the slaughter in the Maswa Game Reserve, which borders the Serengeti. Wounded, Gower managed to crash-land the helicopter before succumbing to his injuries.